In the new range of home decor items at @Home furnishings, the Abstract Square Floor Lamp in Black is a favourite among customers. It is a truly abstract geometric design. There is no real base, but a rectangular wooden frame supports the lamp. The structure has a height of 155cm and a length and width of 20 cm and 39.3 cm respectively. The structure may seem imbalanced, but the base is strong enough to hold the entire structure. The wooden base in black, beautifully complimenting the glowing light when switched on. 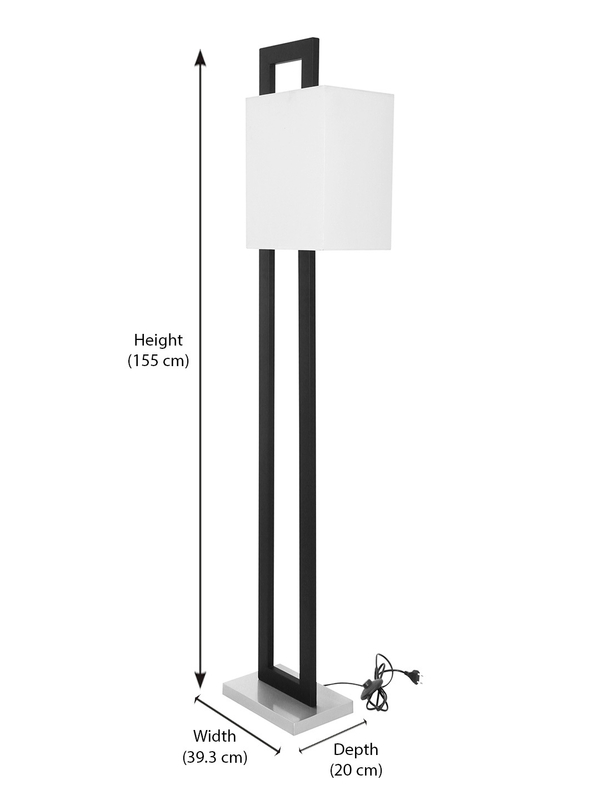 Are you looking for the perfect lamp to top off your living room décor, then the abstract square floor lamp is what you are looking for. Abstract design always compliments modern design. The square adds an elegant angular edge to your living room. The floor lamp does not require a base of any kind and dominates your living room in the best way possible. The modern structure will draw the eyes of everyone in the room as it soaks the room in ambient lighting.